Let it be GM diet or any other diet plan, If you are beginning your journey to lose weight, the first step is to find your ideal weight range. 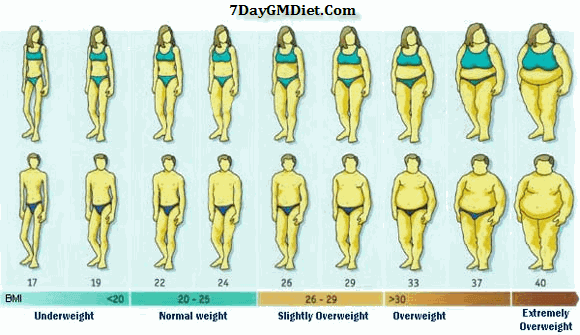 The ideal weight is calculated based on several factors such as height, age and gender. It usually varies from person to person. For example, Women who is 5 feet 6 inches tall should ideally weigh in between 58 to 65 KGs. Likewise, the ideal weight for men with the same height (5′ 6″) is 63 to 68 KG.